That epic feeling when you notice your gains. That epic feeling when you notice your gains 😍 I think the feeling when you notice an improvement that you worked SO HARD for is without a doubt truly epic! When you’ve been in the gym for months giving it everything you’ve got! 🙌🏼 Best feeling in the world? Share this gains quote if you think it is! 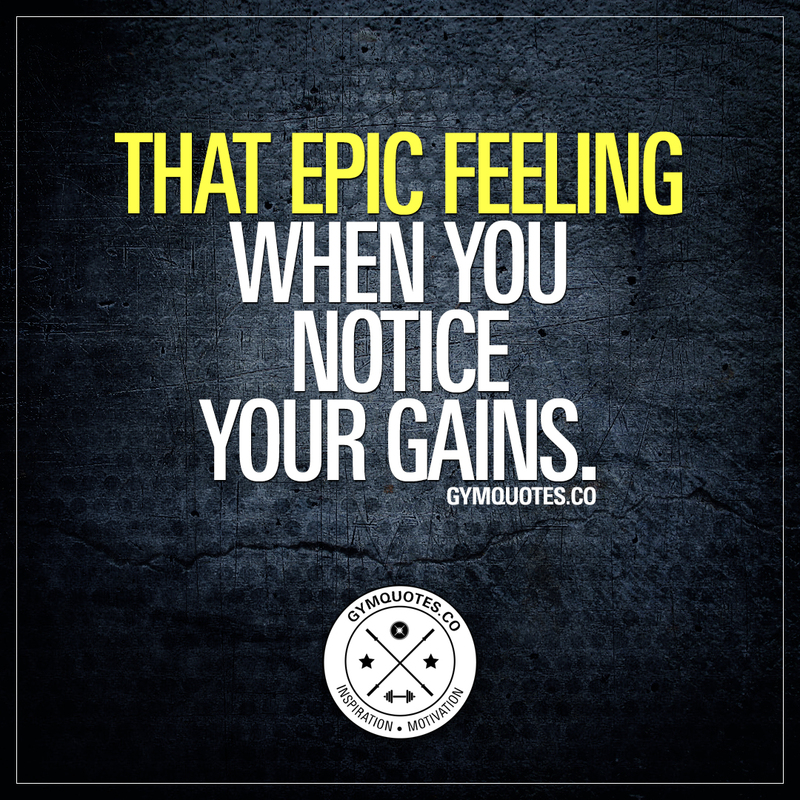 This gains quote (image and text) is copyright © Gym Quotes 2019.